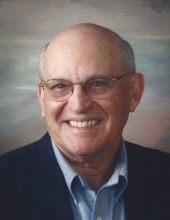 WASCHA, Robert Bernard - Age 84, of Swartz Creek, died January 27, 2019. Funeral services will be held 11 AM Thursday, January 31, 2019 at Sharp Funeral Home & Cremation Center, 6063 Fenton Rd., Flint. Visitation will be held 2-8 PM Wednesday and from 9 AM until the time of service on Thursday. Robert was born June 25, 1934 in Flint, the son of Adolph Martin and Mary Leona (Burgess) Wascha and was a veteran of the U.S. Navy. Mr. Wascha retired from Grand Blanc Schools, where he was a teacher and counselor, after 30 years of service. He was a 4-H Leader of Triple S Riders and a Leather Craft Leader for several years. He and his wife, Geraldine were mentors for marriage encounter and he also worked as a grief counselor for children. Mr. Wascha was a lifetime member of the Genesee County Sheriff Posse. He was a loving father in a neighborhood of four families. Surviving are his children, Sherry Wascha, Chris Wascha, Tim (Lisa) Wascha, Dan (Shelly) Wascha; grandchildren, Ashley, Lindsey and Caitlin Tomczak, Jordan and Aaron Wascha, Brandon, Megan and Matthew Wascha, Jenessa Selleck; very special person in his life, Jan DeFord; brothers, Don Wascha, Tom (Joan) Wascha, Jim (Sue) Wascha; sister, Dolores (Al) Arnold; many nieces and nephews and his dog, Benji. He was preceded in death by his parents; wife, Geraldine; sister-in-law, Laura Wascha; brother-in-law, Gary Roat. He was a special man who touched all of our lives and would always listen to our cries. He would listen, teach and calm your mind and help you to grow in time. He was always there when you needed him most and never left you to just coast. He was loved by many and will never be gone and because of him we will all belong. Heaven is shining on your face because you had a very special grace. We love you so much, please do not fear, we only shed a happy tear. To send flowers or a remembrance gift to the family of Robert Bernard Wascha, please visit our Tribute Store. "Email Address" would like to share the life celebration of Robert Bernard Wascha. Click on the "link" to go to share a favorite memory or leave a condolence message for the family.